It seems like an embargo for Avengers: Endgame collectible figures has been lifted as after the Hot Toys reveals, Tamashii Nations has also started soliciting their full slate of S.H.Figuarts releases. For this post, I’ll likely cover just those relevant to my collection — i.e. Iron Man stuff. 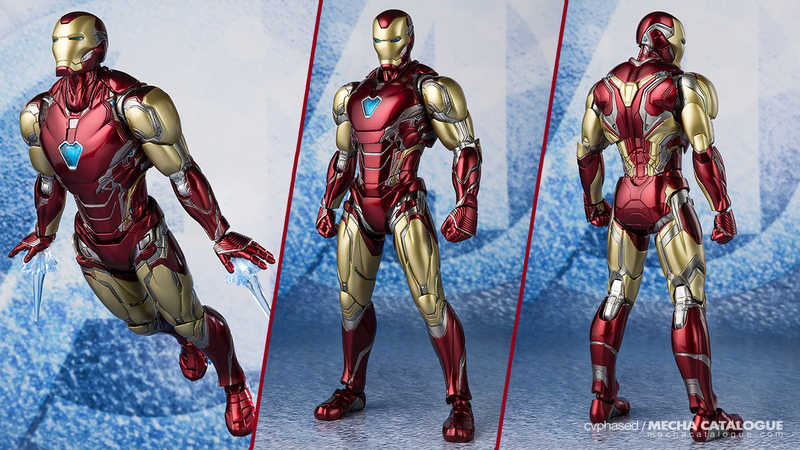 Starting with stuff that’s actually new, here’s S.H.Figuarts Iron Man Mark 85 and it does look the same as the Hot Toys one, well it should. Anyway, anyone who’s bought an S.H.Figuarts Iron Man should be familiar with the articulation and accessories such figure has. One thing to note though is, much like the Mark 50, it doesn’t seem to come with any nano weapon parts. Either they’re just not revealing it for potential spoilers or they’ll likely do multiple releases similar to the Mark 50. And speaking of the Mark 85, Tamashii Nations is doing another shot of this guy with a different set of nano weapons. These include parts for back, shoulder, and forearm mounted Repulsor-based weapons, oh and the actual figure itself. I didn’t get the first nano weapons set release, although if I did (and I might at some point), I’ll probably combine those parts into one completely decked out version of the Mark 50. Of all the Iron Man stuff that’s part of this solicitation, this are the ones I’m interested and really appreciated. 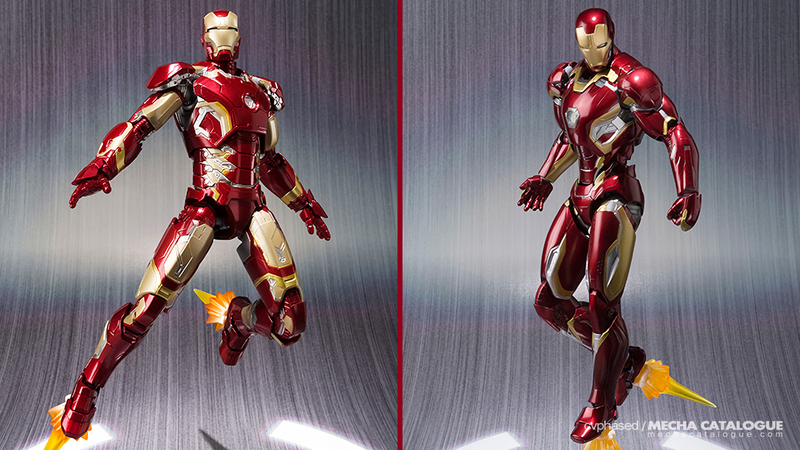 Tamashii Nations will be doing a flash reissue of both S.H.Figuarts Iron Man Mark 43 & Mark 45 this April. My appreciation comes from the fact that these two figures are really prone to paint fade, as seen in this work-in-progress post. So being able to purchase fresh copies at regular retail would be ideal. 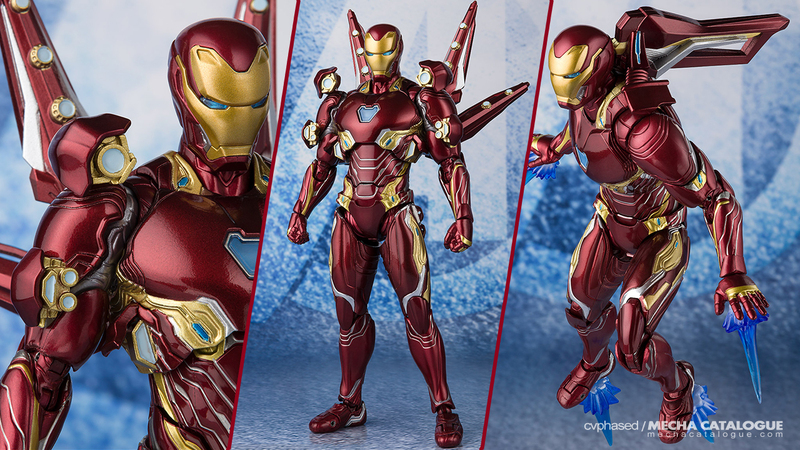 I’m also hoping that they also reissue the Mark 42, another figure stricken by the paint fade issue. For more information on Tamashii Nations’ S.H.Figuarts Avengers: Endgame line up, please go to their special page by hitting this link.